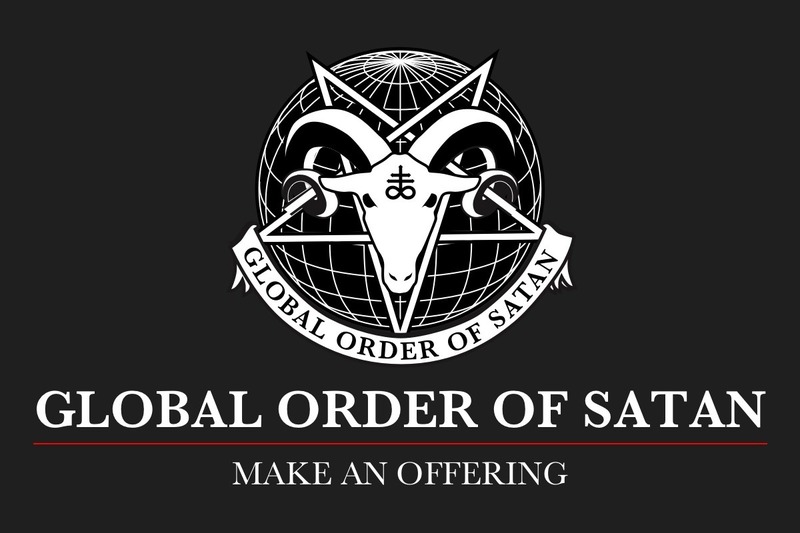 The Global Order of Satan was established in 2016. The mission of Global Order of Satan is to encourage benevolence and empathy among all people, to reject tyrannical authority, and to advocate practical common sense and justice. We desire that individuals be directed by their conscience to undertake noble pursuits, guided by their own will. As atheists we neither believe in a god nor devil nor other superstitions. Our ideology is instead rooted in courage, compassion, and science. Global Order of Satan have a history of advocacy for vulnerable and marginalised communities, and of public opposition to those who would force their personal beliefs on others. Your support will allow us to fund our activism to help the vulnerable and marginalised in the UK. We hold events to raise awareness for issues such as women's rights, sexual health and freedom of religion. Everything we make from these donations goes towards our work, and anything you can give will be greatly appreciated.